Isaiah 59:1-2 ESV Behold, the LORD’s hand is not shortened, that it cannot save, or his ear dull, that it cannot hear; (2) but your iniquities have made a separation between you and your God, and your sins have hidden his face from you so that he does not hear. The problem rested in God, you see. That was their thinking. What was the real problem? Their own iniquities had separated them from God so that He would not look upon then nor hear them to save them. Yet they blamed Him, and in that blaming – they minimized the sinfulness of their sin, the effects of their sin, and their own guilt in their sin. This is the common tactic – to minimize sin, to minimize responsibility for sin and to minimize the effects of sin. “God does not accept our offerings. He does not hear our prayers. What could be the problem? Surely WE cannot be blamed!” Their sin was not serious in their eyes, you see. THEY WERE RECEIVING GOD’S JUSTICE, BUT THEY SAW IT AS INJUSTICE! This text must not be used to forbid divorce in every case – such as to command an abused woman that she must remain in an abusive marriage no matter what. Let’s look more closely at this matter of the minimization of sin, as illustrated by the tactics of the abusive person. We will also include under this heading the tactic of blaming others. We have already seen many times in this study that one of the most devastating effects of abuse upon the victim is that the victim blames herself for the abuser’ s actions. She thinks that the fault lies with her. She set him off. She should have….She should not have…, She needs to do better, and so on. The thing is entirely false of course. NOTHING justifies the abuse of another person. The abuser, in his power/control, entitlement, justified mindset, is quite happy for her to believe that she is to blame. He has many tactics of laying that blame on her and on others. This is a way of minimizing his sin – by minimizing his guilt for it. You can see then in all of this that the abuser is minimizing his sin, primarily by casting the blame upon his victim. It’s Never the Right Time or the Right way to bring things up. This observation is something that we elders have seen over the years time and time and time again. The sinner will not argue so much about the sin he or she is confronted with. Instead, as a minimizing/blame-shifting tactic, they will criticize the time or the way in which you confronted them! In any relationship, it makes sense to use some sensitivity in deciding when and how to tackle a difficult relationship issue. There are ways to word a grievance that avoid making it sound like a personal attack, and if you mix in some appreciation you increase the chance that your partner will hear you. But with an abuser, no way to bring up a complaint is the right way. You can wait until the calmest, most relaxing evening, prepare him with plenty of verbal stroking, express your grievance in mild language, but he still won’t be willing to take it in. To admit guilt, to acknowledge the truthfulness and justice of your complaint, is seen by the abusive mentality as a loss of and threat to his power and control. The victim is NOT entitled to bring her complaint to him. For him to acknowledge his guilt requires humility. It requires that he confess his sin against her – that he admit to his fault. These notions are totally contrary to his mentality of power and control. Psalms 100:3-4 ESV Know that the LORD, he is God! It is he who made us, and we are his; we are his people, and the sheep of his pasture. (4) Enter his gates with thanksgiving, and his courts with praise! Give thanks to him; bless his name! Still another means of minimizing his wickedness and, very often, of displacing the blame from himself to his victim, is the abuser’s common method of simply denying reality. He will insist that the victim is “crazy,” and that the thing she claims never even happened. THIS TACTIC IS FAR MORE COMMON THAN YOU PROBABLY REALIZE! It is difficult for a non- abusive person to conceive of. It is like anti-semitic racists denying that the holocaust ever happened. The very same mentality, you see. Galatians 1:6-8 ESV I am astonished that you are so quickly deserting him who called you in the grace of Christ and are turning to a different gospel–(7) not that there is another one, but there are some who trouble you and want to distort the gospel of Christ. (8) But even if we or an angel from heaven should preach to you a gospel contrary to the one we preached to you, let him be accursed. All of this illustrates the tactic of the abuser – denying reality. Denying that the abuse event ever happened. Just as Satan denies the historicity of the creation or the existence of God or the incarnation or the cross or the resurrection or the second coming of Christ! Outright denial, designed to get the victim to doubt their perception of reality. And at the heart of all of this deception is minimization of the abuse and blaming of someone besides the abuser himself. What are you talking about,’ he gasps. ‘You’ re a drama junkie. I was clear across the room from you when your towel fell off. You’re going to blame that on me? You’ re nuts.’ And he walks off, shaking his head. If you have never been the recipient of such abuse – of this outright, ultra- convincing denial that something you saw with your own eyes – never even happened, then perhaps you either are not awake to the tactic (and it’s time for you to wake up! ), or you simply have too much trust in “the goodness of human nature.” You think that no one who is that sincere and convincing could possibly be lying. BUT THE ABUSER IS LYING!!! He can be wonderfully convincing!! The abuser’s denial of reality, his denial that abuse ever even happened, is one of his most powerful weapons! The victims of this style of abuser ask me: ‘After an incident, it seems like he really believes the abuse didn’t happen. Is he consciously lying? The answer in most cases is YES. Most abusers do NOT have severe memory problems. He probably remembers EXACTLY what he did, especially when only a short time has passed. He denies his actions to close off discussion because HE DOES NOT WANT TO ANSWER FOR WHAT HE DID, and perhaps he even wants you to feel frustrated and crazy. However, a small percentage of abusers – perhaps one in 12 – may have psychological conditions such as narcissistic or borderline personality disorder, in which they literally block any bad behavior from consciousness. One of the clues that your abuser may have such a disturbance is if you notice him doing similar things to OTHER people. If his denial and mind-messing are restricted to YOU, or to situations that are related to you, he is probably simply abusive. Only then will the victim begin to recognize abuse for what it is. 1 John 1:1-3 ESV That which was from the beginning, which we have heard, which we have seen with our eyes, which we looked upon and have touched with our hands, concerning the word of life– (2) the life was made manifest, and we have seen it, and testify to it and proclaim to you the eternal life, which was with the Father and was made manifest to us– (3) that which we have seen and heard we proclaim also to you, so that you too may have fellowship with us; and indeed our fellowship is with the Father and with his Son Jesus Christ. Batterers rarely disclose their violence fully, even in the face of considerable evidence. Our clients also deny the effects of their battering on their partners….Even those men who admit to some portions of their violence typically minimize their history of abuse, reporting significantly less violence than their female partners attribute to them and particularly minimizing their threatening behaviors (they may characterize aggressive violence, for example, as self-defense or may lie about violent events). In assessment of an alleged or established batterer, minimization can be more effectively misleading than denial. By expressing remorse while simultaneously portraying his victim as provocative and dishonest, a batterer is sometimes able to persuade a professional that the has been wrongly accused or that his efforts to change have not been recognized. Our clients often characterize their actions as defensive in nature or as being necessary to prevent more serious harm. The most common explanation that clients of ours provide include such claims as that his partner was assaulting him and he injured her when he was warding off her blows; that he was enraged by her frequent assaults against him and ‘finally decided to show her what it’s like’; that she was assaulting one of the children and he stepped in to protect the child, etc. If he hits her but never punches her with a closed fist…If he punches her but she has never had broken bones or been hospitalized…If he beats her up badly but afterward he apologizes and drives her to the hospital himself…then in the abuser’s mind, HIS behavior is never truly violent. But the sinner minimizes sin to blame others, to blame God, to justify himself. And the abuser is the greatest master of all sinners at this. It is very similar to an interaction I heard once on the news when a newscaster was interviewing a defense attorney. The attorney was very excited that anyone would think his client, or any of his clients, had actually committed the offenses they were charged with. He went on and on saying how innocent people are charged with things they didn’t do all the time. Finally, the interviewer said “Well, it is clear to everyone that crimes ARE being committed. Murders, robberies, rapes, thefts…so can you tell me – just who is doing these crimes?” Good question! 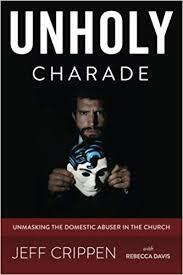 Abuse is a plague – but to listen to abusers, NONE of them are truly abusive! Abusers then minimize their evil by insisting that they are not as abusive as the other guy, or that they could have hurt their victim far more than they did – as if they should be commended for that! Now, here is something that each one of us must deal with in life – is this person truly sorry/repentant? We know that there is indeed such an animal as “false repentance.” People can throw the words “I’m sorry” at us quite readily without being truly sorry at all – at least not for the right reason. The abuser can play the role of victim. He knows how to play on the sympathy of his victims. But being “sorry,” showing some kind of remorse, even gushing tears and sobs – is not enough. The entitlement to power and control still remains. ‘I feel bad that I called her that name; that’s not a good thing to say, especially in front of the children. I lost it, and I want my family to have an image of me as always being strong and in charge. I don’t like for them to see me looking ugly the way I did in that argument; it hurts my self-esteem. An abuser’s show of emotion after early incidents of abuse can be dramatic: I have had clients who cry, beg their partners for forgiveness, and say ‘You deserve so much better, I don’t know why you are even with a jerk like me.’ His remorse CAN CREATE THE IMPRESSION THAT HE IS REACHING OUR FOR REAL INTIMACY , ESPECIALLY IF YOU’ VE NEVER SEEN HIM LOOKING SO SAD BEFORE. But in a day or two his guilt is vanquished, driven out by his INTERNAL excuse-making skills. We must be wise. We must understand that an abusive person’ s dramatic remorse shifts the center of attention back to him. It is powerfully manipulative. The victim may soon find herself reassuring him that she won’t leave him, that she still loves him, that she doesn’t think he’s a terrible person. He thus reaps soothing attention as a reward for his abusiveness, and his actions have the effect of keeping the family focused on HIS needs.